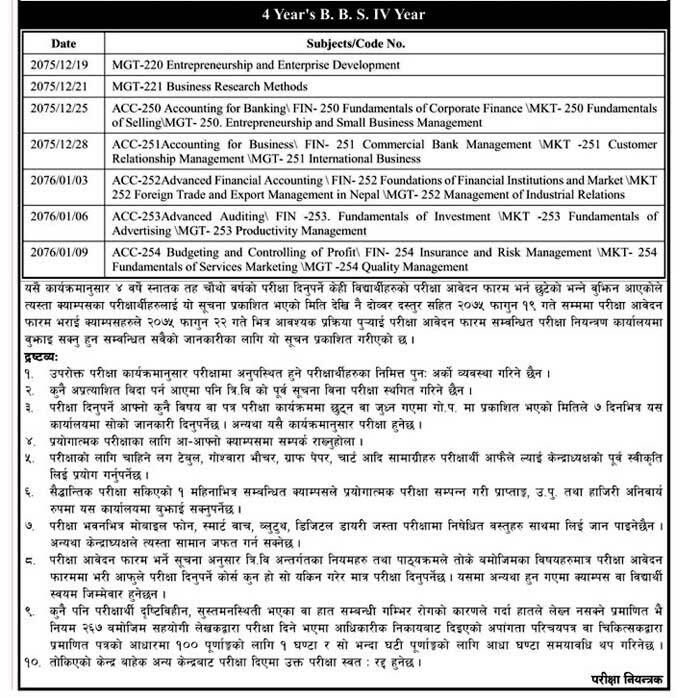 Tribhuvan University office of the controller of examination, Balkhu has published the examination schedule for 4 years Bachelor of Business Studies (BBS) 4th Year 2076 regular and partial examination . As per routine, the examination of 4 Years BBS 4th Year 2076 starts on 2075/12/19 (MGT-220 Entrepreneurship and Enterprise Development) and ends on 2076/01/09. Examination time has been set from 7 am to 10 am.